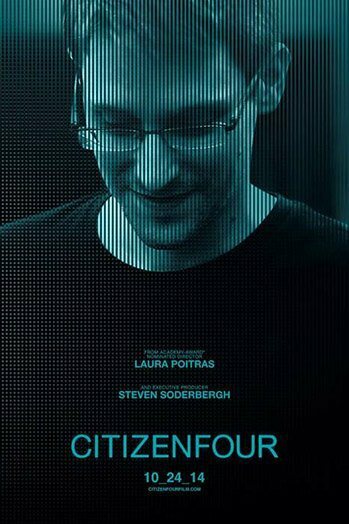 You MUST SEE CitizenFour, the movie by the brilliant Oscar-nominated director and journalist Laura Poitras describing how she was contacted by Edward Snowden, to participate to release to the world documents revealing the NSA illegal spying activities, and its active sabotage of most of digital technology. jz on Tuesday, January 20, 2015, at 16:24. Filed under datalove. Tagged Bittorrent, Movie. Bookmark the permalink. Follow comments here with the RSS feed. Trackbacks are closed, but you can post a comment. You could at least post Snowden’s donation address here too. Thanks for sharing, but anyone with a link to a ENG subtitle file ?